ROMANCE BOOK PARADISE: Juliet Madison on Fast Forward and Giveaways! 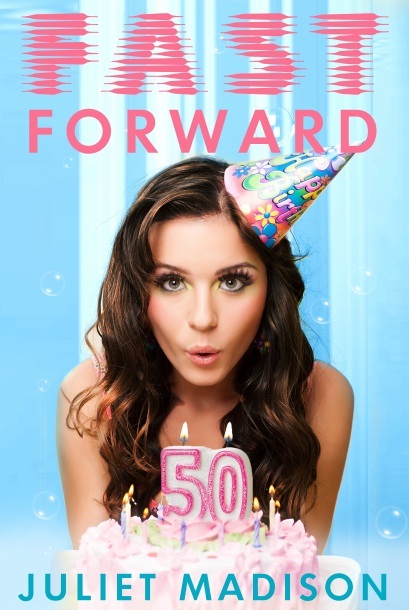 Juliet Madison on Fast Forward and Giveaways! 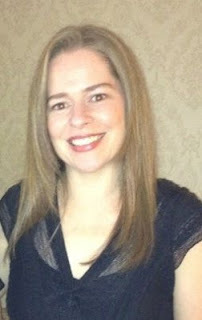 We have long time friend and Australian author Juliet Madison and she came with giveaways! Time travel in fiction is something that seems to fascinate a lot of people. The idea of being able to go back in time and see history taking place, or make a change that may affect the future - it's pretty exciting. Not to mention the idea of going to the future and seeing how far technology has come along and how society has turned out. Many time travel stories are rooted in science fiction and fantasy, and of course, it makes sense, however, some stories involving time travel are in the genres of romance, romantic comedy, chick lit, and women's fiction. What I like about time travel within these genres is that the focus is not on how the time travel is possible in the first place but on the emotional journey the characters take and the relationships that are affected. That's not to say that sci-fi and fantasy stories don't focus on that too, just that the science fiction components are a bigger part, whereas with non sci-fi it's more a process of self discovery for the character than experiencing the past or the future itself. It puts the characters into a pretty extreme scenario that gets them questioning their lives and how they've turned out, or decisions they might have made in the past that they regret. It's all about that 'what if' scenario - what if I made a different choice in the past, what if my future turns out a different way, and how can I make sure my life, both for myself and my relationships is on the right track? In Fast Forward, my debut novel from Escape Publishing, the title makes it pretty obvious that it involves going into the future. How this actually happens isn't really revealed in the book, although there are a couple of points in the plot that could be seen as triggers. 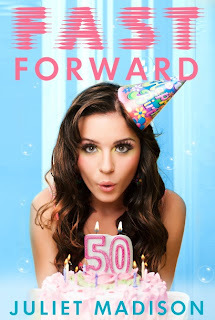 Somehow, the main character Kelli wakes up twenty five years in the future on what should be her twenty-fifth birthday. What ensues is a series of surprising, funny, heartbreaking, and challenging situations that present themselves to Kelli as she navigates life as a fifty-year-old, living a life that is the opposite of what she wanted for herself. It's an exciting thing to wonder what our lives will be like in the future, and I wanted to write a story that explored this idea of getting a 'sneak peek' at what lies ahead. So what was important for Kelli was not how she got there (although in the beginning she is obviously wondering how something like that would even be possible), but how this experience causes her to grow and realise what's most important in her life. I chose to do a comic take on this premise, because really - a young model waking up a flabby fifty-year-old mother? That situation lends itself to some pretty funny possibilities! A few great movies I've enjoyed that play with the idea of time travel but aren't sci-fi are Suddenly 30 (13 Going on 30 for those in the US), The Time Traveller’s Wife, The Lake House, Midnight in Paris, and Peggy Sue Got Married. Some new books I've discovered are Second Chance by Carla Caruso, and Here I Go Again by Jen Lancaster. Other time travel romantic stories include: My Future Husband by Karen Clarke, Time Between Us by Tamara Ireland Stone, A Stolen Season by Tamara Gill, Elegy for a Queen by Margaret James, The Viking’s Forbidden Pleasure by Jennie Brumley, Mariana by Susanna Kearsley, The Messenger (Mortal Beloved) by Pamela DuMond, and Do You Remember The First Time by Jenny Colgan. Do you have any favourite time travel books? GIVEAWAY: To go in the draw for a $50 Amazon gift card or the runner up prize of a $25 gift card, leave a comment on this post. Comment on other blogs during Juliet’s February blog tour for more entries into the draw! Winners drawn 1st March. I loved Midnight in Paris! And this book has such an interesting premise. Thanks for sharing! Welcome to Romance Book Paradise! I hope you will enjoy chatting with my friends here! Thanks for coming by to chat with Juliet! Thank you Jemi for dropping by today! I was thinking the same thing. But unfortunately I haven't yet had the time to check out FAST FORWARD! Though, it's only 99c on Amazon! This book sounds good, and I'll definitely check it out. Thanks! Yes I've heard of that author. Thanks Susan, I hope you enjoy it! Thanks Susan for dropping in and letting us know! Your book sounds great! I added it to my list for Amazon. Hi Nas, I like the concept of time travel, though I have never written about it. Love the sound of Fast Forward. Thanks Rachna. It was a fun thing to write about! Thanks for coming by to read this post, Rachna! I recently read Defiant Surrender by Tamara Gill which I really enjoyed. Here the heroine goes back in time to 12th Century :) I liked that Tamara focussed on the romance rather than the mechanics of the time travel. It's also what I enjoyed about Fast Forward. The time travel happened and you focussed on Kelli, her feelings and her "learnings" rather than how it actually occurred. Thanks so much for dropping in and letting us know that you enjoyed FAST FORWARD, I shall look forward to reading it. Congratulations and best of luck with your book. What a stunning cover!! I love the sound of Fast Forward :) I'm off to Escape to check it out! Isn't it gorgeous?! They did a fantastic job. Thanks!! Thanks Lacey! And yay! You visited! After a very long time! I'm going to tell my CP about your book. She's actually a BIG fan of time-travel books and is even writing one. Thank you for dropping by to chat with Juliet today! Thanks Jennifer! And thanks for telling your CP, I hope it is something she will like. So much fun to write! TTW was a great story, but don't worry, Fast Forward is a LOT more lighthearted than that one! Some people have said it made them cry though, but balanced out by the laughs which is good! Ooooh, Dezmond! You like Australians? Awesome! Lol, thanks! Go the Aussie's!! I like time travel stories. This one sounds great! Time travel isn't a genre I read a lot but I remember reading a series by Susan Sizemore where the characters went back to medieval times. Those books stayed with me. Thanks Shelley for coming along! I agree, Michelle! Time Travel in Romance is a new concept! I haven't yet read a time travel novel. The MC being a 50 year old female makes it interesting for me. It is an interesting story, JL! Thanks for coming along! Good to hear, J.L. I find there's not a lot of characters of that age group in books. I hope it resonates with others out there! Oh how neat! I've only read a handful of time travel stories, and they're always about going back into the past, either by accident or to fix things. Going into the future sounds like a fun premise! Time travel plus romance seems like a perfect combination! Thanks Sherry for coming by and reading this post! I love time travel. There's always great conflict in time travel stories. There sure is. Thanks for stopping by! I didn't read the book, but I loved the movie Timeline by Michael Crichton. The premise sounds good, Juliet!